Call in the Finishers for warlocks. 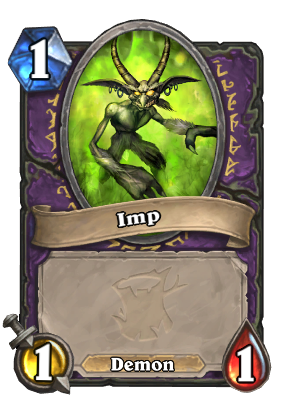 They just need to change Warlock mission to "Summon 10 demons"
It looks like every year of HS has to have it's own imp card. Not always a good one though. 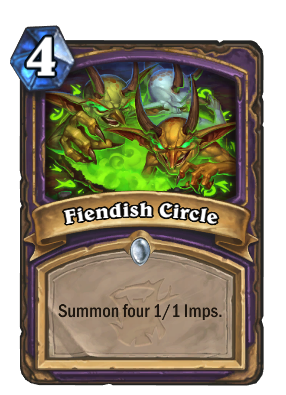 Not only is it objectivly worse than Imp-losion, but also way worse than Forbidden Ritual! "Remember how good Imp-plosion use to be? We do too. Reverse powercreep."